CICC is glad to inform you that the 16th China International Environmental Protection Exhibition (CIEPEC) is taking place from June 7th to 9th at the China International Exhibition Center in Beijing. 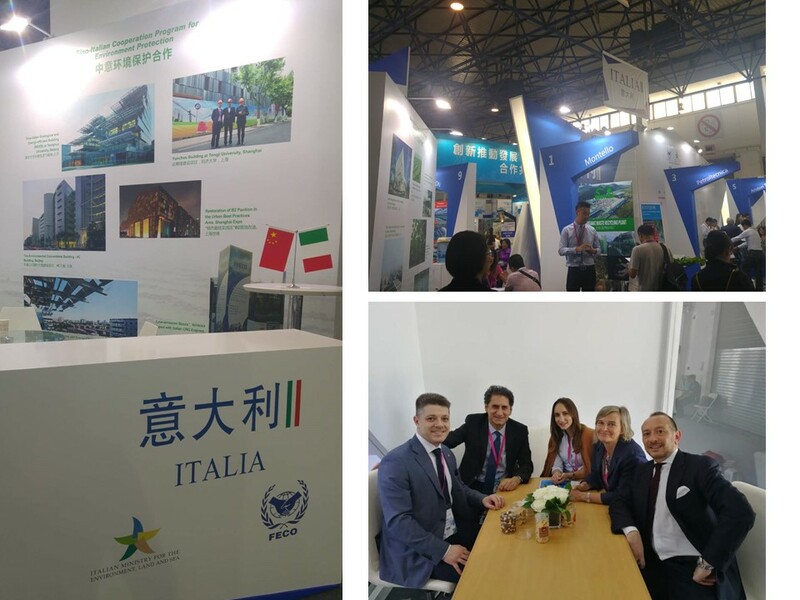 On the opening day of CIEPEC 2018 (June 7th), the General Director of the Italian Ministry of the Environment, Land and Sea, Mr. Francesco La Camera and the Beijing CICC delegation visited the companies present at the Italian pavilion. The Italian pavilion is composed by 16 Enterprises, sponsored by the Italian Ministry of the Environment, Land and Sea (IMELS) within the framework of the Sino – Italian Cooperation Program for Environmental Protection, a program launched by IMELS in partnership with the Ministry of Ecology and Environment of P.R. of China (MEE) in 2000. The Program is part of the Sino - Italian Comprehensive Strategic Partnership, as well as a relevant section of China - Italy bilateral cooperation.